With the tag line “Japan’s most powerful all-girl rock band” and having their first 41-show solo world tour in success, there’s no question about SCANDAL being a product of the burgeoning world’s show biz scene. 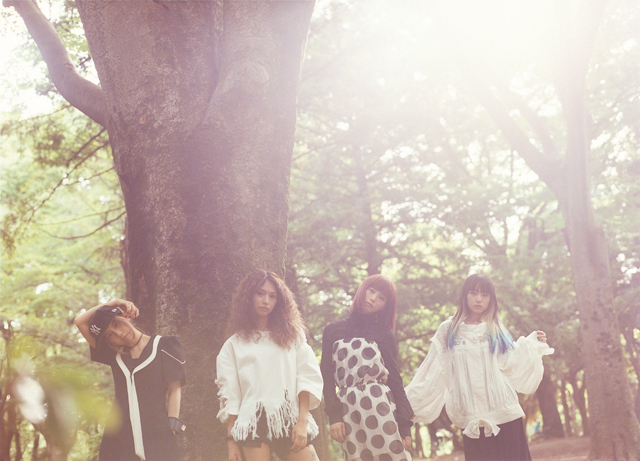 An upbeat teen pop-rock with the additional gimmick of lead vocals split between all four members of the group, SCANDAL has received the Best New Artist Award of the Japan Record Award and all of their albums to hit top 5 of the Japan’s national chart. Formed in 2006, toured overseas straight away, participating in the Japan Nite U.S. tour 2008 and playing Sakura-Con in Seattle, as well as shows in France and Taiwan. In March 2012 had a successful performance Nippon Budokan with unusual speed, now in January 2015 they kicked off their biggest national hall tour along with their first world tour of 41 shows in 9 countries in the US, France, UK, Hong Kong, and Taiwan with a turnout of 70,000 audiences. The quartet is leading the Japanese girl band scene in terms of music, looks, and characters which makes them take copy band contest place for their 4th time. In 2016, just announcing an another world tour, the all-girl group is surely taking the world by storm.